The Parliament of Egypt is currently a unicameral legislature. The Parliament is located in Cairo, Egypt's capital. Under the country's 2014 constitution, as the legislative branch of the Egyptian state the Parliament enacted laws, approved the general policy of the State, the general plan for economic and social development and the general budget of the State, supervised the work of the government, and had the power to vote to impeach the President of the Republic, or replace the government and its Prime Minister by a vote of no-confidence. The parliament is made up of 596 seats, with 448 seats elected through the individual candidacy system, 120 elected through winner-take-all party lists (with quotas for youth, women, Christians, and workers) and 28 selected by the president. Parliamentary life began in Egypt as early as 1866, and since then several forms of national assemblies have been formed, dismantled and amended to reach the present-day form. Since 1866, Egypt witnessed seven parliamentary systems whose legislative and oversight competences varied and reflected the history of the Egyptian people's struggle to establish a society based on democracy and freedom. For more than 135 years of parliamentary history Egypt witnessed 32 Parliaments whose members ranged between 75 and 458 who contributed to writing Egypt's modern political social, economic and cultural history. According to the present-day constitution, the Parliament consists only of the House of Representatives ("Maǧlis an-Nowwab"), a 596-member lower house. The Parliament has lacked the powers to effectively balance the powers of the president. Egypt was without a parliament for three years. The parliament was dissolved in June 2012. On 8 July 2012, President Mohamed Morsi said he would override the edict that had dissolved the country's elected lawmakers, but that was followed by his deposition. Elections for parliament were held from 17 October 2015 to 2 December 2015. While parliamentary elections in the major cities are often fixed by the ruling party, elections in Upper Egypt -- the poorest and most underdeveloped part of the country where approximately 40% of Egypt's population live -- are more free, with the ruling party "recruiting whoever happened to win." According to journalist Peter Hessler, neglect of Upper Egypt has also allowed the region to "devised indigenous campaign traditions". Without parties or local media to promote issues or policies, campaigns consist primarily of evening house calls to potential voters by candidates with their entourage. Visits may last anywhere from only a minute to a half an hour. Candidates are served cigarettes, (non-alcoholic) drinks or sweets; The visits are not confined to a period before the election but often continue even when the parliament is cancelled and elections continually delayed. The group affiliation of the candidates is not party or ideology but tribe (despite the fact that according to anthropologists "tribes" in Egypt are often 20th century creations). Because family hierarchies dominate most people’s lives, candidates seek the support of clan elders who direct family members, sometimes numbering in the hundreds, how to vote. Candidates may successfully campaign without the "support of any party or other institution" because there are no party networks. They do campaign with family members and when defeated candidates lose face because elections are a matter of family pride. Candidates often have no platform, do not talk "about issues, policies, or potential legislation", or make any "public campaign promises". Candidates often sit in silence on their visits rather than formally introduce themselves, give a stump speech or field questions about what they will do if elected. Potential voters will however often ask for small favors such as making a call to a government office that issued permits or handled utilities on the voter's behalf if the candidate is elected. Campaigning involves male Muslims, as candidates seldom if ever interact with women (who in the south are sequestered at home and sometimes forbidden from voting by the clan elder), and the ten percent Coptic Christian minority is "basically ignored" by "most" candidates. The House of Representatives (Egyptian Arabic: مجلس النواب‎ Maglis El Nowwab) is the unicameral parliament of Egypt. The House may demand the resignation of the cabinet by adopting a motion of censure. For this reason, the Prime Minister of Egypt and his cabinet are necessarily from the dominant party or coalition in the House. When the president and house come from opposing parties (a situation which did arise historically, but not since the 1970s), this would lead to the situation known as cohabitation. The House of Representatives Speaker (HR Speaker) presides over the House and is elected from the House membership, along with two deputies during the first session of the season. The Speaker's role in session is to keep the peace and order to the parliamentary session, take part in discussion provided that he gives up his presidency to one of his deputies and doesn't return to his presidency until the discussion is finished as well as ordering an emergency session for one of the House' committees. In case of vacancy in the President's office, the Speaker serves as acting president until the presidential elections are held (Which must be within 60 days). This has happened once, when president Anwar Sadat was assassinated in office, and then People's Assembly Speaker, Sufi Abu Taleb served as acting president. The last PA Speaker was Saad Al Katatny, who briefly presided the Assembly for only 5 months from 23 January 2012 to the dissolution of parliament on 18 June 2012. ^ "Egypt election committee to announce date for parliamentary poll Sunday". Ahram Online. 27 August 2015. Retrieved 11 September 2015. ^ "Seats in Egypt's parliament increased for third time in a year". Ahram Online. 23 June 2013. Retrieved 23 June 2013. ^ "Egypt election committee to announce date for parliamentary poll Sunday". ahram online. 27 August 2015. Retrieved 28 November 2016. ^ Fahmy, Mohamed. "Egypt's president calls back dissolved parliament". CNN. Retrieved 8 July 2012. ^ Hausloner, Abigail; Booth, William; al-Hourani, Sharaf (3 July 2013). "Egyptian military ousts Morsi, suspends constitution". Washington Post. Retrieved 28 November 2016. ^ "Timetable for Egypt's parliamentary elections announced; voting to start 17 Oct". Ahram Online. 30 August 2015. Retrieved 11 September 2015. ^ a b c d e Hessler, Peter (7 March 2016). "Letter from El-Balyana". New Yorker. Retrieved 21 March 2016. ^ "President Mansour signs into law parliamentary elections legislation". Ahram Online. 5 June 2014. Retrieved 6 June 2014. ^ "Egyptians overwhelmingly back constitution - official results". Aswat Masriya. 18 January 2014. Retrieved 6 June 2014. ^ a b c "Egypt's new constitution to be passed to president on Tuesday, opening the way for presidential elections first". Ahram Online. 2 December 2013. Retrieved 6 June 2014. ^ "'Support Egypt' coalition sweeps Egypt parliament's 25 committees". Ahram Online. 3 October 2018. Retrieved 18 April 2019. 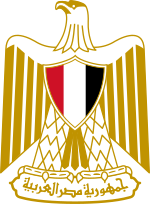 Wikimedia Commons has media related to Parliaments of Egypt.